Contemporary society is rapidly changing. Social and technological changes are deeply affecting European citizens and re-shaping their interactions with businesses and governments, and with one another. These developments are influencing power relations in society and might lead to new forms of democracy and governance. The role and form of government might change as well. Identifying requirements for future governments allows us to rethink their structures and processes and explore what they might look like in the future. The overall aim of the project is to better understand these changing relationships and to stimulate discussion about them. New actors and responsibilities are emerging. With the shift of power relationships and new forms of interactions, the need for trust and accountability of governments is becoming ever more important. The project does not take its perspective from inside government, but puts people at the centre with their hopes and fears about the future. Based on the diversity of expectations and uncertainties about how things will develop, we can envisage several alternative pictures of the future. Together, these scenarios and a set of design concepts that bring them to life offer a starting point for discussing the positive and negative implications of these changes. 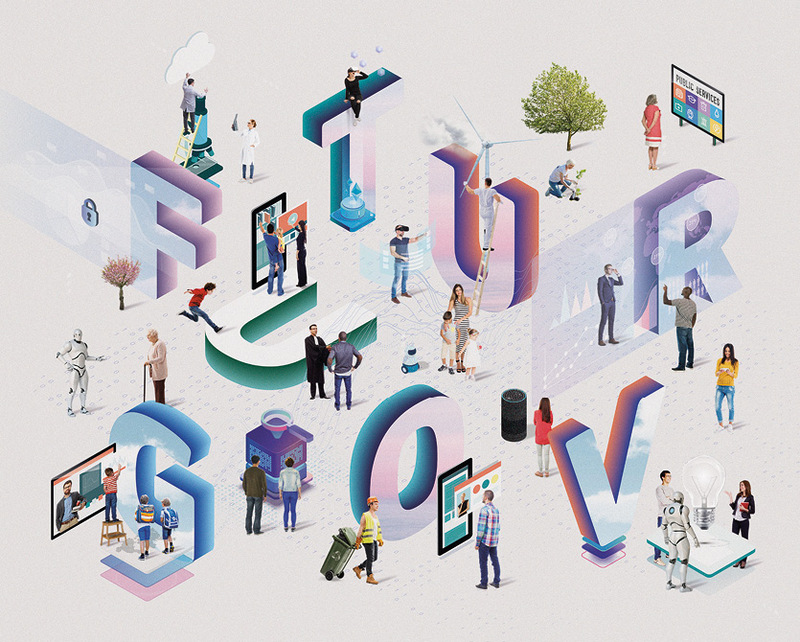 The Future of Government 2030+: A Citizen Centric Perspective on New Governance Models is a project carried out by the European Commission’s Joint Research Centre (JRC) for the Directorate General for Communication Networks, Content and Technology (DG CNECT). It runs from October 2017 until early 2019.
Who was involved and how did we get there? 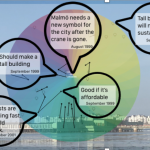 The project uses a novel approach by combining creative design and foresight with stakeholder and citizen engagement techniques such as participatory workshops, engagement sessions, ideation and prototyping processes and online debates. Through this methodological approach and with the support of policy labs View Map and six European design schools (“d-schools”) View map, we stimulated debate with about 130 citizens in Austria, Ireland, Malta, Poland, Spain, Sweden and the UK and about 25 representatives of businesses, civil society organizations as well as over 100 design students. In the engagement phase we are launching a discussion with students, civil society organisations, think tanks, foresight experts, civil servants, and others around possible, plausible and desirable future government models and strategic implications for today. More than 100 students and staff from six European design schools were involved in exploring and developing concepts about how government might work, in response to the JRC scenarios . Depending on the school, a range of students, staff and external partners were involved including BA, MA and PhD design students. Often these design concepts focus on specific interactions involving citizens, businesses and government. Below you will find a selection of concepts, out of over 40 initially received. Realised in different media, these concepts bring to life some of the implications and risks of possible future developments. and add your opinion as a comment to the post. Your feedback will help determine which d-school concept will be presented in Brussels and provide input to the final report. The five concepts of the best quality and with the highest number of comments will be selected as the winners of the challenge by the Joint Research Centre EU Policy Lab. The representatives of the winning teams will be invited to a high-level event on the Future of Government in Brussels in the European Parliament in early 2019 where they will have the opportunity to discuss their ideas with panellists. How to comment: Please register at the end of one blog to the section “leave a comment” and click on “You must be logged in”, then register. You have to confirm your registration via an email you receive. Please check your spam mails as the confirmation email might have went there. Once you’ve done this, start with happy commenting. Your comments will be released by the project team. Please do not contribute anything rude, harmful or illegal.